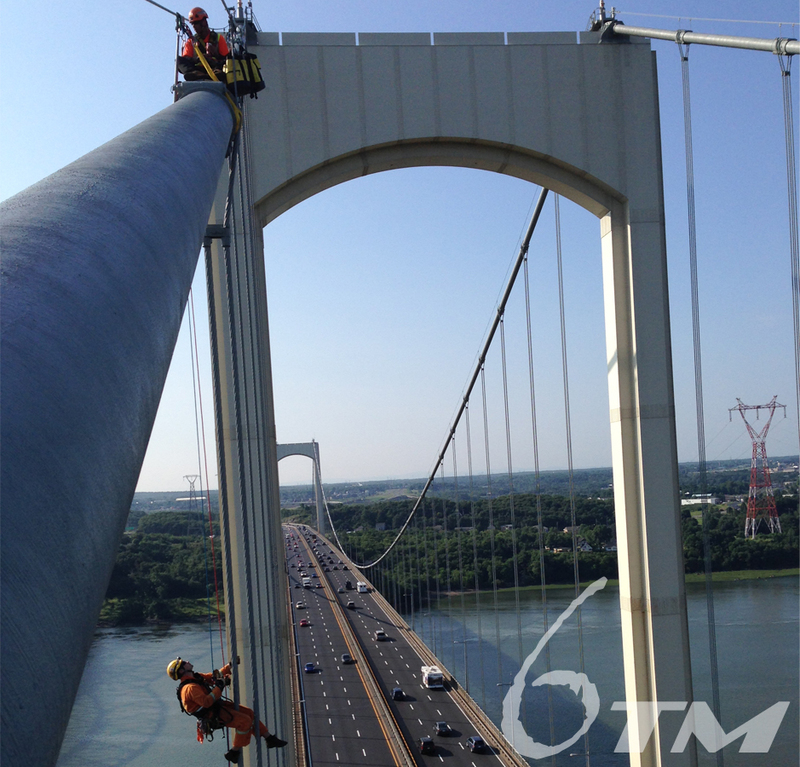 6TM Inc. specializes in the inspection of structures by rope access techniques and systems. Mandated since 1997, by engineering firms and government agencies, our team has participated in several rope access inspection projects on large-scale structures. Our experience, our work planning, our risk analysis, our prevention plan and our vision of the rescue give us assets for the realization of complex mandates. On several occasions, our experienced team has conducted an efficient and safe inspection of the Honore-Mercier Bridge in La Salle, the Laviolette Bridge in Trois-Rivieres, the Jacques-Cartier and Champlain bridges in Montreal, Quebec, Ile-d 'Orleans and Pierre-Laporte bridges in Quebec City. As part of mandates for the Quebec Ministry of Transportation, Hydro-Quebec, St. Lawrence Seaway Management Corporation, Jacques-Cartier and Champlain Bridges Corporation Inc., Parks Canada, Public Works and Services Government of Canada, Ontario Power Generation. - Recommendations of maintenance and repair activities. Our rope access technicians and specialists will assist your inspection mandate of difficult-to-access components. They will install the progression and security systems and then supervise your staff during their progression. A rescue strategy will be established prior to the work. Your firm's inspectors should be trained and/or certified SPRAT or IRATA standards level 1. A training of 16 hours is recommended for those whose last practice in rope access dates back more than 6 months. In the absence of training or experience, the inspector will be denied rope access in structure or will be limited to advancing through a class A fall arrest system conforming to the CSA Z259 standard. 16-04. We are trained and certified according to the North American and/or British standards. Our expertise allows our technicians and specialists safe access to the various structures.